With over a third of the population in Indonesia lacking grid electricity, off-grid hydro schemes are bringing its benefits – like good quality light, TV and power tools – for the first time to remote communities, creating new livelihood, leisure and educational opportunities and a window on the wider world. The not-for-profit People Centred Economic and Business Institute (Institut Bisnis dan Ekonomi Kerakyatan, IBEKA) is responsible for developing the schemes, which are owned and managed by communities. In ten years, IBEKA installed 2,260 kW of hydro capacity in 57 off-grid and four grid-connected plants. Greenhouse gas emissions reduced by about 7,400 tonnes/year CO2 e.
I myself had to study using kerosene lamps, so I wanted the children to have good light to study. I want our people to have more knowledge and communications and opportunities to earn more while still living in the villages. Despite a rapidly growing economy and thriving cities, over one third of the population of Indonesia lacks grid electricity. Many people live in scattered communities on remote islands. 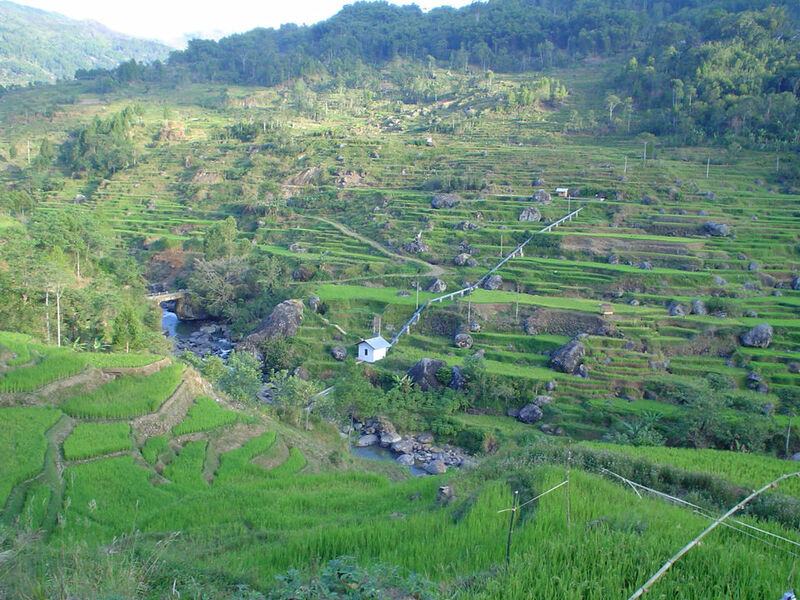 Even on the densely-populated main island of Java, there are mountainous areas where the grid has not reached. Rainfall is plentiful throughout the year in many parts of Indonesia, so there is considerable potential to provide electricity using off-grid hydro schemes. 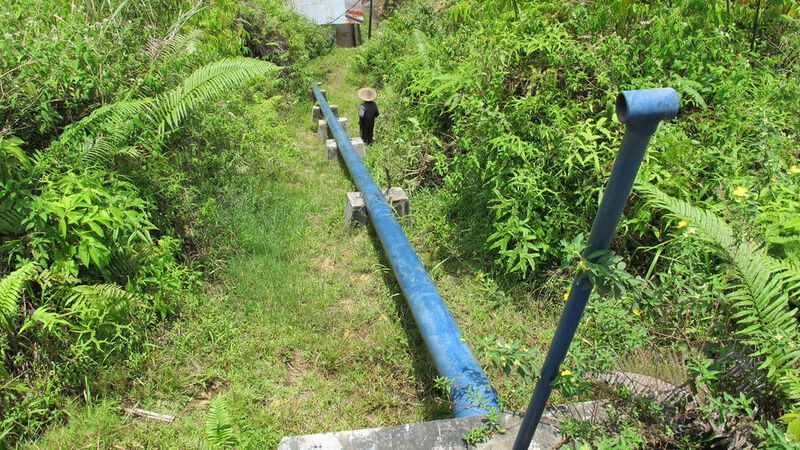 But a survey by GTZ (the German development agency) found over 1,000 micro-hydro plants that had been abandoned through lack of maintenance. Through long-term involvement IBEKA makes sure that the community has the skills to manage and maintain the scheme. IBEKA works in partnership with communities to develop off-grid hydro schemes that stay in use. Through long-term involvement IBEKA makes sure that the community has the skills to manage and maintain the scheme, and community ownership which brings a continuing source of income. And IBEKA has used grid expansion as a new opportunity, with communities now owning and managing grid-connected hydro schemes as well. Founder Trimumpuni at Cinta Mekar Microhydro Power Plant. IBEKA (Institut Bisnis dan Ekonomi Kerakyatan: the people-centred business and economic institute) is a not-for-profit organisation, founded in 1992 by engineer Iskandar Kuntoadji, the husband of Executive Director Tri Mumpuni. Its mission is to promote community development via the provision of local energy, mainly hydroelectricity, and also clean water. A core principle of its work is to develop human resources as well as physical resources. IBEKA and the hydro schemes that it builds have been mainly funded by grants from a wide range of sources including central and local governments in Indonesia, the Embassy of Japan, UN-ESCAP and GIZ. In 2011 it had an income of about US$1.5 million and 38 staff. IBEKA starts by discussing the opportunity of hydro with the community at a potential site. When grant funding is identified a detailed technical design is developed to provide sufficient capacity for community needs. In parallel a plan for the management of the scheme, electricity tariffs, and a structure for community ownership are developed. IBEKA engineers source equipment and build the plant, with help – both voluntary and paid – from community members, at the same time providing training. Once the scheme is commissioned, IBEKA continues to provide support until both the technical and financial management is running smoothly. IBEKA involvement before, during and after construction can last for around 18 months. IBEKA continues to provide support until both the technical and financial management is running smoothly. Microhydro Power Plant in Taba. IBEKA recognised that the hydro resources and human resources of local communities could be applied just as well to grid-connected hydro schemes, and such schemes could provide a much-needed additional source of power for the national grid. But in the 1990s there was no requirement for the national grid operator (PLN) to buy the electricity. Lobbying from IBEKA over ten years helped change the law, so now PLN must buy electricity from micro and mini hydro. IBEKA sources grants but increasingly loans and equity investment to finance these plants. In new plants, development follows a similar pattern to off-grid, but the hydro capacity is made as large as possible, to maximise the financial return. The income to the community enterprise comes from electricity sales to PLN, and community members pay PLN for their electricity use. Where the grid has recently been extended to a place with an off-grid plant, IBEKA can help the community to connect the scheme retrospectively to the grid. IBEKA can help the community to connect the scheme retrospectively to the grid. Micro-hydro schemes use the moving water from a stream or small river to turn a turbine. The turbine rotates a shaft, which drives an electrical generator. 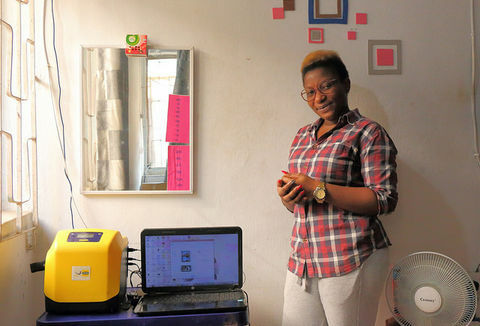 In off-grid schemes IBEKA constructs a local electricity grid to distribute power from the generator via an electronic controller to individual homes. In schemes that are gridconnected, the output from the controller is connected to the grid, and homes have their individual connections. How much does it cost and how do users pay? Costs of hydro schemes vary greatly, depending on the complexity of the site and how easy it is to reach: sometimes in remote areas this is a real challenge because there is no road access for vehicles. Typical costs for IBEKA off-grid schemes are between US$4,000 and US$8,000 per installed kW. Grid-connected schemes are cheaper because they do not have to cover the cost of the distribution system. IBEKA’s first grid-connected scheme, 120 kW Cinta Mekar which was installed in 2005, cost about US$180,000 or US$1,500 per kW. Users do not pay the capital cost of the hydro. For off-grid schemes, grant funding covers all costs including design, installation, community preparation and setting up the cooperative to own the plant. IBEKA works with the community to agree a tariff structure that brings sufficient revenue to cover the day-to-day cost of operation; a maintenance fund; and a community fund. Fees for electricity are paid monthly to the co-operative by each user. Tailoring business benefits from electricity. IBEKA sets up a community-managed Social Enterprise to run each grid-connected scheme, and PLN pays this Enterprise between US$0.07 and US$0.13 per kWh for all electricity sold. Community members pay for electricity at the national tariff for low-income households, about US$0.06 per kWh. How is it manufactured, operated and maintained? Generators (usually locally made) and control gear (imported) are purchased. IBEKA trains and pays a group of local people to help with the construction work but the community also contributes labour and materials for tasks like constructing a canal. Some off-grid schemes run continually, others are shut down during the day-time because people are working on the land. The operator visits twice daily to check the system, switch it on or off, and clear any debris from the intakes. Minor maintenance like greasing bearings is carried out every week, with a major overhaul every three or four years. Grid-connected schemes usually have an operator on site all the time, so the work is shared between two or three people. It’s much easier to make clothes using the electricity rather than the treadle, and it’s quicker too. A job that would have taken two hours now takes one-and-a-half. It’s particularly good for the oversewing machine, that just flies along now. IBEKA wants as much expertise as possible to be localised, so that maintenance and spare parts are sourced from near the community and costs are kept low. Operators and construction workers are trained on the job, and training is provided to the whole community. IBEKA also runs courses for other organisations like colleges or University departments, that can provide local expertise. Between 1992 and February 2012, IBEKA installed a total of 2,260 kW capacity in 61 plants (51 micro/mini hydro and 10 pico hydro). Six early plants (130 kW) are currently out of use. Three of these are awaiting connection to the recently-arrived grid and the other three have problems with reduced water supply. 51 of the operating plants are off-grid and supply 10,400 households. With about 4.5 people per household on average, this is equivalent to about 47,000 people. The remaining four plants (400 kW) are grid-connected and serve 1,500 households, or 7,000 people. Both off-grid and grid-connected hydro schemes cut greenhouse gas emissions. Off-grid schemes replace kerosene for lighting, and IBEKA surveys have found that this averages about 15 litres/month of kerosene per household. Total off-grid savings are therefore about 5,700 tonnes/year CO2 e.
Most of the grid power in Indonesia comes from coal and oil, with average emission about 0.8 tonnes CO2 e per MWh generated. IBEKA’s grid-connected schemes generate about 2,100 MWh/year and therefore cut emissions by 1,700 tonnes/year CO2 e.
The social benefits of bringing electricity to off-grid communities are substantial. Smoky kerosene lamps are no longer needed, and bright electric lights make study and housework easier, and homes more pleasant. Having lights outside houses makes families feel less isolated at night. Radio, television and mobile phones bring information, entertainment and connection to the wider world. Radio, television and mobile phones bring information, entertainment and connection to the wider world. IBEKA's renewable energy model is creating new livelihood opportunities for women. IBEKA requires that some of the income from electricity sales (both off-grid and gridconnected) is used for a community fund, and that each community sets its priorities for using this. The process of shared decision making, as well as the sharing of benefits, helps to bring communities together. Households with electricity get cheaper light as well as better quality light. Kerosene in Indonesia costs between US$0.3 and US$1.4 per litre, so a household using 15 litres/ month pays between US$5 and US$20. 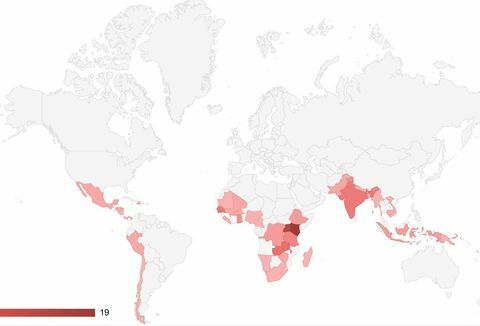 Electricity for lighting can cost less than US$1 per month, so savings are substantial. Hydro schemes provide temporary local jobs during construction, and long-term jobs for operation, maintenance and fee collection. At Palanggaran, the operator (who checks the scheme twice per day and also collects fees) earns US$20 per month, a significant addition to family income from cash crops which is typically US$30 per month. 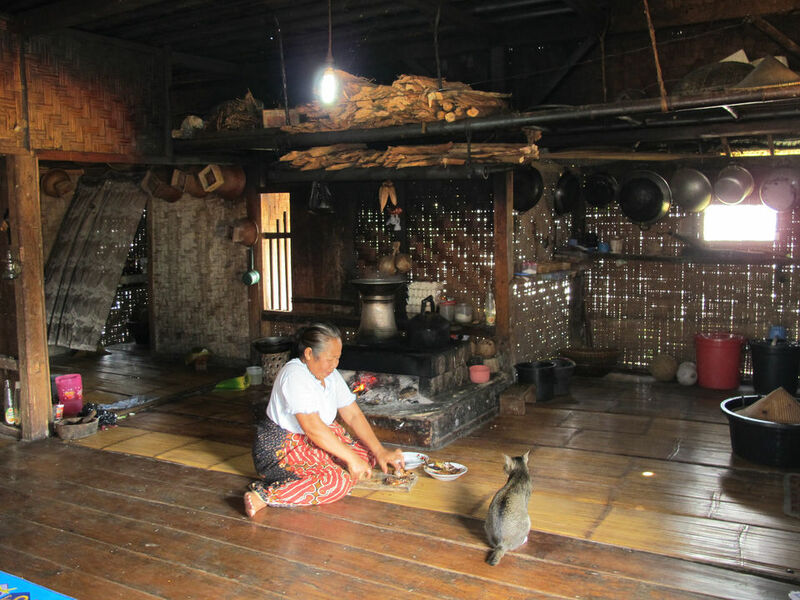 It’s difficult to explain, but electricity seems to have changed attitudes in the village. People seem more motivated, maybe that’s because it is worth working harder in order to get electrical goods like television. The availability of electricity also increases local employment opportunities and productivity. Hydro provides power levels that can run electric tools, so carpentry and metal workshops can expand their business. Jobs like tailoring and agricultural processing can also become more productive. There is a continuing need for off-grid hydro in Indonesia, since over one third of the population is not connected to the grid. IBEKA continues to source grant funding and work with communities to provide off-grid systems. Given the shortage of capacity on the Indonesian grid, there is also significant potential for grid-connected micro and mini hydro. IBEKA has seven such schemes totalling nearly10 MW (four times its current installed capacity) under development, and is sourcing loan and investment finance for them. 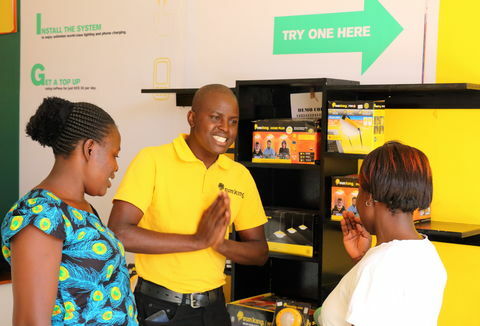 IBEKA itself is investing in grid-connected schemes, to generate a reliable income stream for its work. IBEKA has demonstrated that community management of hydro systems, and community benefit from them, can be achieved with a range of different financing mechanisms. This model is widely relevant in other countries.